Her Excellency, Mrs. Bolanle Ambode is the Wife of the Executive Governor of Lagos State. She was born into the Odukomaiya family in Epe, on the 15th of February, 1964. She studied Physics at the Lagos State University (LASU), Ojo and graduated in 1989. She later obtained a Masters degree (MSc) in Public Administration in 1994. Her Excellency subsequently studied baking technology in Israel and established Rehoboth Chops and Confectioneries Limited, a baking outfit based in Ogba, Lagos. 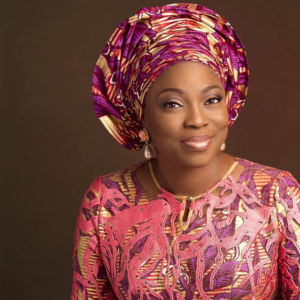 In 2015, Mrs. Bolanle Ambode founded HOPE FOR WOMEN IN NIGERIA INITIATIVE (HOFOWEM). HOFOWEM was built around her vision to inspire change and make a difference in the lives of vulnerable and underprivileged individuals in Lagos State. Mrs. Oyefunke Olayinka was appointed the Chief Executive Officer in February 2017 to pilot the activities of the organisation towards achieving her goals. She has over 25 years of experience in banking cutting across operations and commercial banking. She resigned from Mainstreet Bank Plc now Skye Bank in 2015. Prior to her appointment as the CEO, Oyefunke was the Executive Director of The Lord’s Heritage School, a Management Consultant Institution. She started her professional career as a clearing officer with Venus Clearing and Forwarding Company and also worked with Cadbury Nigeria Plc and Nigeria Arab Bank Limited. She holds a Masters of Business Administration from Ladoke Akintola University of Technology, Postgraduate Diploma in Education from the prestigious University of Lagos and Bachelor of Science Degree in Business Administration from the University of Abuja. 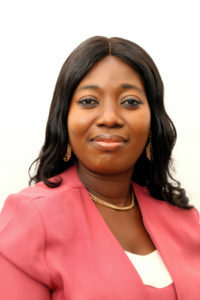 She is an Associate Member, Nigerian Institute of Management (AMNIM). 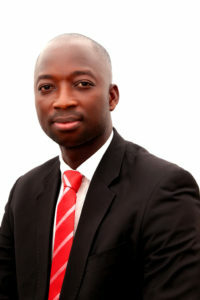 Bolaji has more than eight years’ experience in the areas of public health covering peer education, research, programme evaluation, programme conceptualization & management, organisational development, health systems strengthening, health & safety audit, health & safety training and policy development. Over this 8 year period, he led the programme unit of InSiGHt Health Consulting (IHC) Limited where he developed & managed projects including managing external consultants. He also led the Akwa-Ibom State Team of the National Reproductive Health HIV & AIDS Prevention and Care Programme through the National Youth Service Corps where he coordinated and managed the activities of over 200 Peer Educator Trainers. Bolaji was also the Nigeria Country Focal Person of the Africa Maternal, Newborn and Child Health Coalition while working as the Assistant Programme Officer with Africa Public Health Alliance. Over the years, Bolaji has provided technical assistance to projects of different national and international organizations like the United Nations Children Fund (UNICEF), United Nations Development Programme(UNDP), Programme for Appropriate Technology in Health (PATH), Partnership for Transforming Health Systems 2(PATHS2), American Jewish World Service (AJWS), as well as numerous State Agencies for the Control of HIV/AIDS (SACAs) like Ondo SACA, Lagos SACA etc., Lagos State Safety Commission (LSC) and others like the Nigerian Business Coalition Against AIDS (NiBuCAA), Living Hope Care (LIHOC), Kids and Teens Resource Centre (KTRC) and several others. Furthermore, he is a master trainer, public speaker, writer and a mentor. He has also contributed to the development of various national and continental strategic documents like the Africa Reproductive Health, Maternal, Newborn and Child Health (RMNCH) Strategy. Bolaji holds a B.Sc in Biochemistry, a Master of Science in Public Health, Certificates in Workplace Health and Safety, Research, Maternal and Child Health amongst others. Establish a culture of collaboration, trust, and accountability. Open and maintain consistent communication lines amongst all members of staff. Put in place robust policies and IT systems that will enable members of staff to effectively communicate between teams, manage relationships, serve clients and track outputs and outcomes. Recruit passionate and versatile employees with sector expertise and skills to assist it achieve the foregoing goals. It will commence operations with 10 staff in 2017 and growing as the need arises until 2025. Build and maintain a diverse and inclusive staff culture. Launch and oversee dynamic professional development and mentorship programs for staff. 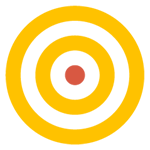 Operate a performance management process that creates clear career paths and includes 360-degree feedback.